Is a print on request organization printing business card and other material situated in London, England. The organization was established in 2004 by Richard Moross. 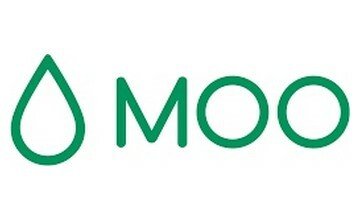 Founded in 2004, Moo Print is a trusted company that is located in London. Not only do they offer mini-business cards, but they also produce standard business cards, Christmas cards, post cards, greeting cards and stickers for their customers. Every professional or business owner should have a business card. Having a business card is a great way to generate leads and sales for your business. Now Moo.com makes a new type of business card known as the mini business card. For starters, mini business cards are half the size of the ordinary business cards. A mini business card is unique and will help you stand out in the crowd. Apart from size, the mini business card is designed differently. You can ask prospective clients to pick their favorite card. This is a great point of innovation here. Mini business cards are also excellent for breaking the ice and making a good first impression on would-be clients. Moo has a huge selection of designs for your mini business cards. . if you don’t find something that strikes your fancy, you can always create your own. Simply upload a good image and design your own mini card. Moo also offers many ideas on how to make the most of your mini cards and market your business. The company will also print and deliver your purchase right to your door. Another great thing about moo is that their website is very easy to navigate and their print quality is excellent. Printfinity feature allows your mini business cards to stand out among the crowd.